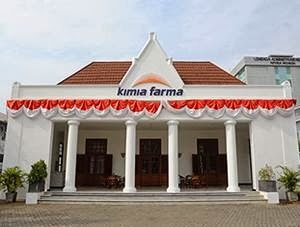 PT Kimia Farma (Persero) Tbk - Kimia Farma is a leading state-owned pharmaceutical company in Indonesia. Kimia Farma has its business activities focused in integrated pharmaceutical industry. Its business include manufacturing, pharmaceutical trade and distribution, retail pharmacy, health clinic, laboratories and optical clinics. PT Kimia Farma (Persero) Tbk is a public-listed company which is majority owned by the Government of Indonesia. Kimia Farma is listed on the Indonesia Stock Exchange (IDX) under reference code KAEF. At present, the Government of Indonesia holds 90.025% shares in Kimia Farma which represented by the Minister of State-Owned Enterprises (SOE). Other 0.127% by management/employee and 9.848% by public. JobsCDC.com now available on android device. Download now on Google Play here. Please be aware of recruitment fraud. The entire stage of this selection process is free of charge. PT Kimia Farma (Persero) Tbk - D3 Chemical Analyst, Pharmacist, Electromedics Kimia Farma April 2019 will never ask for fees or upfront payments for any purposes during the recruitment process such as transportation and accommodation.